Welcome to the Willard Hotel in Washington, DC. 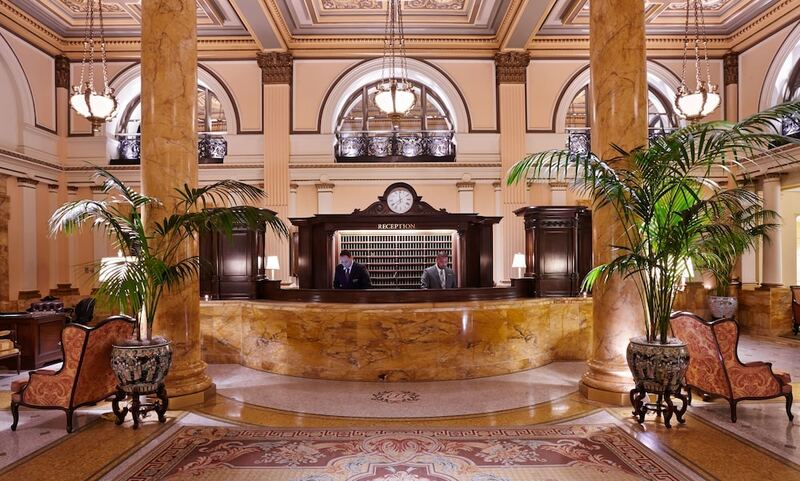 Only two blocks from the White House, elegance and charm greet guests and visitors, as they walk in the door. Famous and powerful men and women are among those who have frequented this hotel, located on Pennsylvania Avenue and 14th Street. This grand, international hotel had its origin in a row house, built by Captain John Tayloe in 1816, was leased to Joshua Tennyson for a hotel. Benjamin Ogle Tayloe hired Henry Willard to operate the City Hotel after years of failing profits. When brother Edwin joined the team, they changed the name and enlarged the building. Twenty- five year-old Henry was special, “meeting his guests as they alighted at the hotel from the stage,” reminisced Ben Perley Poore, a veteran Washington journalist. He was involved in all areas of the business and strived to treat his paying customers as guests; it worked. At dinnertime, “Mr. Willard stood at the head of the dinner table wearing a white apron and carved the joints of meat, the turkeys, and game.” Before dawn, Henry was down at the Central Market selecting the best for what he would serve in his dining room that evening. In 1855, the famous poet, Emily Dickinson and her sister sojourned there. Word began to spread about the elegance. A lavish ball, attended by 1800 guests in honor of retiring British minister Lord Napier brought prestige to Willard’s Hotel in 1859. The food, entertainment, and lavish setting made eyebrows raise. The guests feasted on steak tartare and blinis in the Willard Room. They ate Schwartzwalder torte, chocolate candy, pecan balls, mint squares cake, petit fours, and dozens of other desserts in the Crystal Room. For the Japanese delegation that arrived the next year, the Willard’s mirrors, piano, gaslight, running water, and toilets were wonderful. All was first-class. The hotel would remain among the first to try the latest conveniences and attractions, including the telephone in 1878, the first moving-picture show in town in 1897, and air-conditioning in 1934. Constant individual attention to details was important to Henry, and his standard was continued. President-elect Lincoln and his family had a comfortable suite on the second floor for the ten days before his inauguration. The problem of his aching feet was solved quickly with typical Willard ingenuity. In the rush to conceal his arrival in Washington, Lincoln had forgotten his bedroom slippers. But Henry’s wife had just knitted a colorful pair for her grandfather, who had big feet, like the President. Lincoln borrowed them for the duration of his stay at the hotel. On a side note, for Lincoln’s inaugural dinner, he was served a simple meal of Mock Turtle Soup, Corned Beef and Cabbage, Parsley Potatoes, and Blackberry Pie at the hotel. In 1862, Julia Ward Howe penned the immortal words of the Battle Hymn of the Republic in her room there. Willard’s, seen here during the Civil War, was full of well-furnished rooms. When Ulysees Grant arrived in Washington with his son Fred on March 8, 1864, checking into the Willard Hotel, where the desk clerk, gave the once-over to this scruffy looking soldier, assigned the two to a small room on the top floor. Then he told Grant that he would have to carry his luggage himself as no porters were available. Grant agreed and signed the register “U.S. Grant and son, Galena, Illinois.” The stunned clerk realized then that the new commander of all Union armies was standing in front of him. The embarrassed man swiftly backtracked and switched Grant to a suite on the second floor. He then personally carried Grant’s luggage to his room. What a difference a few years can make in a greeting to the same man. This hotel constantly hosted those seekers in Washington. Established in 1848, the Red Robin bar was a frequent meeting place. 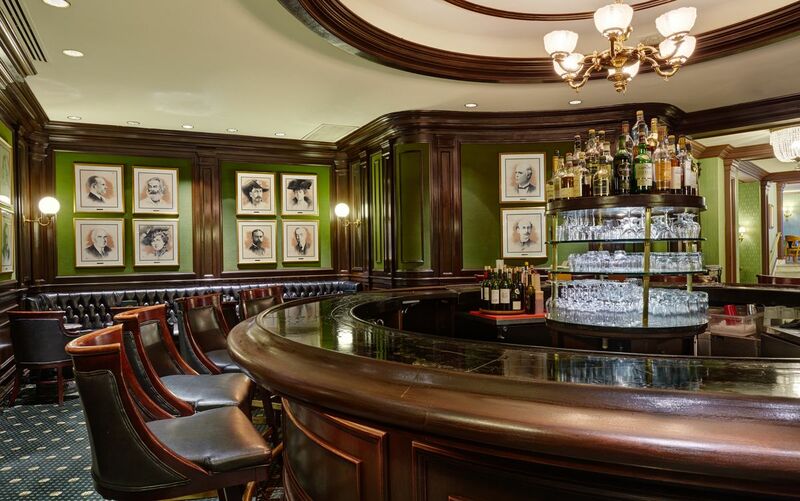 The University Club of Washington was founded in the hotel’s Red Room in 1904, then in 1908, the National Press Club was founded. Nothing was too lavish during the Gilded Age, as visitors thronged the dining room. Presidents Taylor, Fillmore, Pierce, Buchanan, Lincoln, Grant, Taft, Wilson, Coolidge and Harding stayed at the Willard. Besides other notable guests mentioned, others have included Charles Dickens, Buffalo Bill, David Lloyd George, P.T. Barnum, and countless others. Walt Whitman included the Willard in his verses, and Mark Twain wrote two books there in the early 1900s. Dr. Martin Luther King, Jr. sat in the hotel lobby with his closest advisors to make final edits to his famous “I Have a Dream” speech just hours before delivering it on the steps of the Lincoln Memorial in 1963. The Willard closed its doors in 1968 and opened them to new ownership and restoration in 1983. And then in 2000, another multi-million dollar renovation took place. Today 335 rooms are available. Tradition, elegance, and style continue to abound at this Washington address, as they have for almost 2002 years. 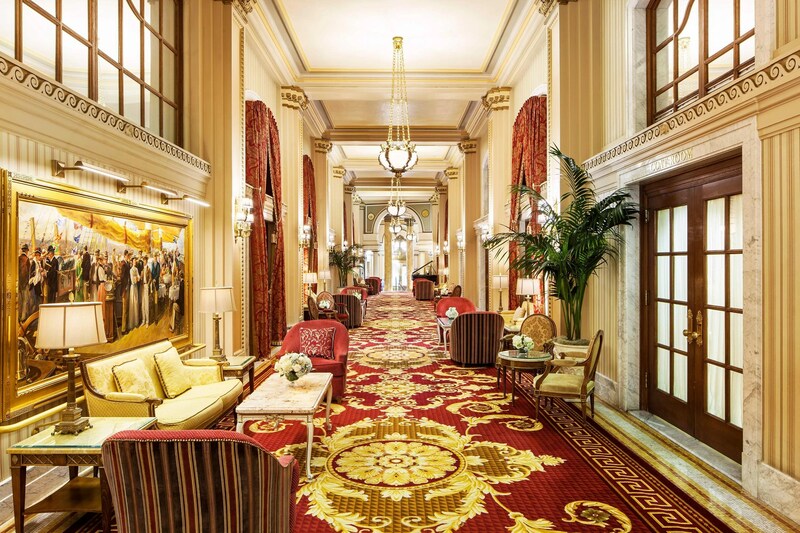 The Willard Hotel oozes tradition, and I want to sit-a-spell there. Posted in Uncategorized and tagged "Julia Ward Howe, Abraham Lincoln, Henry James, Nathaniel Hawthorne, Pennsylvania Avenue, The Willard Hotel, ulysses Grant. Bookmark the permalink.